Just like Fats, there are good sugars and bad sugars… There are so many good natural sugar alternatives to choose from these days! The main ones you want to stay away from are: processed white sugar & high fructose corn syrup. Before I discovered and committed to my raw foods diet I ate a lot of this substance and really did permanent damage to my teeth because of it. Now that I have not touched the stuff for 12 years, my teeth have not seen one cavity, and my dental heath is much better. A big change from all the fillings and root canals I had to have before! 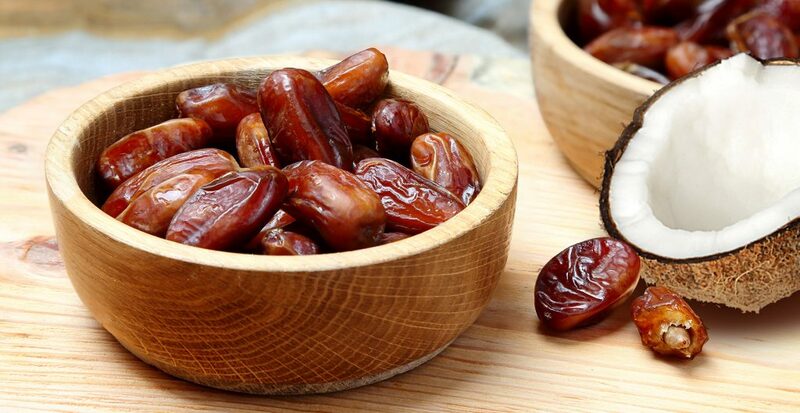 Dates are high in fiber, energizing, unprocessed and all natural. They are rich in: calcium, iron, phosphorus, potassium, magnesium, iron, manganese and zinc. Benefits include: A good source of energy, strengthening bones, relieving constipation, helping treat Anemia, heart health, eye health, nervous system health & more! Coconut Nectar is very low glycemic, & a rich source of nutrients, vitamins & minerals! This tasty sweetener contains all essential amino acids & contains living enzymes. Its is a 100% whole food derived from the sap collected from the coconut tree blossom. Benefits are: It is rich in magnesium, zinc, iron & potassium. It also contains Vitamins B1, B2, B3 & B6. It contains low amounts of fructose, glucose & sucrose (about 10%) & it is high in a prebiotic fiber (polysaccharide inulin) that aids in the process of digestion. And it does not spike your blood sugar level! If you are looking for a low sugar/lower glycemic treat we have offerings for you! All of our macaroons have just 2g-4g of sugar per package (each Package contains 1 cookie)! And our White Chocolate truffles and White Chocolate Latte truffles have just 2g-4g of sugar per package (each package contains 4 truffles)!